This Contract is between Hammerpond Kennels & Cattery Ltd (Trading as Hammerpond Kennels & Cattery) company number 6458054 (hereinafter called the “Kennel”) and the pet owner/representative whose signature appears below (hereinafter called the “Owner”). The term “pet” refers to all pets boarding with the same ownership as detailed overleaf. 1. Owner specifically represents that he or she is the owner of the pet, or has been authorised by the Owner of the pet to enter into this Contract as the Owner’s agent. 2. Owner agrees to pay all costs and charges for services provided upon departure of pet from Kennel. The Owner further understands that if they have provided credit card details as a means of payment and that the boarding time is 28 days or more, the management at its discretion may subject them to our Interim Invoicing Process, using the credit card on file if provided. Owner understands and agrees that the pet shall not leave the Kennel until all charges are paid by Owner to the Kennel. Owner is aware that if the date of pick up is extended without prior approval of Kennel there will be an additional daily charge corresponding to the number of days beyond the initial boarding departure date at the prevailing rates at the time of boarding. Furthermore, the Owner agrees to a £10 administration charge for any uncleared cheques received. 3. Owner understands that there is a full-day boarding fee charged on day of arrival and on day of departure regardless of check in time or departure time. 4. Owner understands that opening times may vary at any time at the sole discretion of the Kennel and without giving prior notification to the Owner or receiving acceptance from the Owner; furthermore the Owner acknowledges the Kennel is not a 24-hour facility and as such the Kennel is not normally staffed between 6 pm and 8 am. Pets requiring overnight care, medical monitoring or any services whatsoever outside the normal staffed times should not board without prior agreement from the Kennel. If overnight care is required the Kennel will agree the services and associated costs before boarding commences. Owner asserts that all known medical and behavioural history of pet has been disclosed to the kennel before boarding. Pets with casts, restricted mobility requirements, feeding tubes or post-operative recovery requirements may not board, without prior agreement from the kennel, which for the avoidance of doubt may include additional terms and charges which would be agreed with the Owner prior to boarding. 5. Owner warrants that they have provided and checked the accuracy of the information regarding themselves and their pet on the kennel computer records on or before the day boarding commences. For the purposes of clarification this information includes but is not limited to the age of pet, current veterinary practice, feeding and medication requirements, email addresses, current and emergency telephone numbers and other relevant information in regards to boarding their pet. a/ Make prior arrangements with kennel for their staff to administer as scheduled. There may be other costs associated with this service; however this will be agreed with the Owner before boarding commences. Owner acknowledges that all reasonable efforts will be made to administer as scheduled, and in the event that the kennel is unable to administer as scheduled the Kennel at its sole discretion has the full authority of the Owner to appoint a third party to administer, and where any difference in charges exist from the third party and the kennel in performing the administration, these charges will be netted off against any charges already agreed with the owner. b/ Provide authorisation from pet’s veterinarian that pet can board in a non-medical boarding environment with no overnight monitoring. 7. Owner understands that if a booking is cancelled by the Owner a cancellation fee of 50% may be charged at the kennel’s discretion and as a result the Owner may lose any deposit paid. Furthermore if details of a credit card have been provided, any charges due as a result of the cancellation will be charged to Owners credit card. 8. The Owner acknowledges that if they wish to drop off or collect their pet outside of normal hours, this can only be done with the prior agreement of the Kennel where a £20 charge will be made. 9. Owner understands that for the safety of animals boarding, priority is always given to standard care and medical services over exercise services. If any operational issues arise such as but not limited to high occupancy and reduced staff, severe weather, acts of God etc. standard care and medical services will be the priority and pets may have a reduced exercise regime, and in certain cases may not be exercised on those days. 10. Owner understands that a Trip Fee of £30 will be added to the bill for each trip Kennel makes to take the pet to a veterinary practice or to purchase supplies that have been requested by the owner that are NOT the kennels standard supplies for the pet while boarding, and the Owner agrees to pay such fee. Owner authorises Kennel to transport pet to veterinary office in case of emergency and or non-emergency cases where Kennel management is concerned for the ongoing health and welfare of the pet and would require a qualified assessment and or medication / treatment. 11. All pets entering Kennel must be clean and flea free. If upon inspection, this is not the case; a general once-a-month flea treatment will be applied at Owner’s expense, at a cost of £15, unless client has provided a medical reason not to do so. 12. Kennel shall exercise due and reasonable care for each pet while boarding. Under this reasonable care, Owner releases Kennel from, and waives all claims and liability against Kennel for or attributable to, injury or illness of pet and any consequential loss or damages. Owner agrees that Owner shall be solely responsible for any and all acts and behaviour of said pet while it is in the care of Kennel. This includes but not limited to damage to kennel structure and/or kennel property, consequential loss and/or damages. 13. If a life threatening illness / injury occurs, the Kennel in its sole discretion may engage the services of a veterinary practice of its choice for evaluation and treatment, expenses thereof shall be paid by Owner. Owner authorises kennel to use their credit card if on file for payment of veterinary services at the time service is provided. 14. Owner represents that pet is healthy and has not been exposed to any known communicable disease within the thirty-day period immediately prior to boarding. Owner agrees to disclose to Kennel all known medical conditions and or behavioural problems prior to check in. Owner shall inform Kennel of any changes in pet’s condition and behaviour at or prior to check in for all subsequent boarding stays. 15. Kennel specifically requires all pets be vaccinated against communicable diseases prior to boarding in accordance with Kennel policy. These vaccinations must include the first two vaccinations as a puppy and an annual booster if appropriate; furthermore all vaccinations must be deemed effective and current which will be determined solely by the Kennel. Kennel reserves the right to refuse admittance to any pet that shows signs of illness or that does not meet Kennel vaccine requirements. Despite these precautions, Owner acknowledges that Owner’s pet will be in an environment with other pets during boarding, and understands that any pet may harbor and spread a communicable disease. Owner releases Kennel from, and waives all claims and liability against Kennel for, all losses, damages, costs and expenses arising out of or in connection with any communicable disease contracted by Owner’s pet during boarding including any consequential loss and/or damages. 16. Owner understands that if pet is not picked up within 7 calendar days of the due departure day or unless other arrangements have been made with the kennel in writing during the 7 days following the due departure day, the pet shall be deemed abandoned. Hammerpond Kennels & Cattery then has the right to place or sell the pet to a new owner. Owner shall remain liable for all boarding fees and associated costs in re-homing the pet. 17. Owner releases Kennel from, and waives all claims and liability against Kennel for, damage to, or loss of, personal equipment or belongings provided by Owner for pet while the pet is boarded. Items not taken home at check out will be donated if not picked up within 1 week of departure date. 18. Owner understands that the Kennel reserves the right to refuse service at its discretion. Kennel does not board animals with behavioural problems that are deemed a safety risk for staff or other boarding pets. 19. 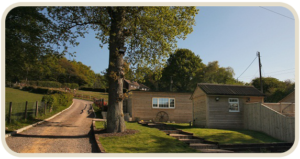 Any controversy or claim arising out of or in relation to this Contract against Hammerpond Kennels & Cattery shall be limited to the boarding fee charged by the kennel during the stated boarding time. In addition to the Boarding Contract, the kennel terms pertaining to medical treatment are stated below. In the event that medical evaluation is necessary during boarding, the kennel will follow these procedures to provide your pet with appropriate medical attention. In the event that medical attention is needed, the Kennel will make reasonable effort to contact you or your designated emergency contact. In the event that none of said emergency contacts are contactable within an appropriate time as determined solely by the kennel, the kennel will take any course of action it feels appropriate and reasonable to keep your pet stable or maintain your pets general wellbeing, where for the avoidance of doubt we may take your pet to a veterinary practice (not necessarily your own) for evaluation and or medical treatment and the owner will be responsible for any expenses incurred due to any consultation, exam, medication or other medical procedures carried out. If further medical attention is required, we will look to see if your own veterinary facility is a feasible option for treatment. Generally, we do not consider any clinic greater than 5 miles from our Kennel to be a feasible option. By signing the boarding contract overleaf you agree to be responsible for all costs and charges associated with this reasonable treatment and authorise Hammerpond Kennels & Cattery to use the credit card if on file for payment of any medical charges at the time services are provided. This contract contains the entire agreement between the parties. All the terms and conditions of this contract shall be binding on the heirs, administrators, personal representatives, and assigns of the Owner and Kennel, and the Owner acknowledge that they have read understood and agree to all the items listed herein, which for the avoidance of doubt includes both the “Terms of Boarding” and “Medical Treatment” terms. Acceptance of this contract will be deemed by either signing the ‘Booking Confirmation’ form or by boarding the animal(s) whether or not the ‘Booking Confirmation’ has been signed or not.